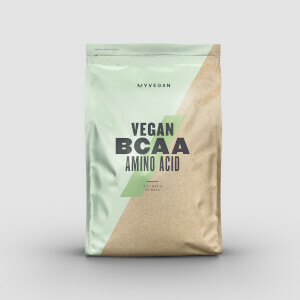 I've used 'high powered' Vitamin B on and off for a few years and decided to try MP's offering (as I get all my other supplements here already!). Normally they are huge tablets but MP provide much more compact ones that are easier to swallow. The downside is they seem to whiff a bit more than others. It's just the usual 'Vitamin smell' but I certainly don't recommend smelling inside the open pot. The effects of the supplement are only noticeable when I exercise. For example, taking high Vitamin B doses if I am just going about my normal routine doesn't seem to make a difference. However when working out hard they definitely help reduce fatigue. 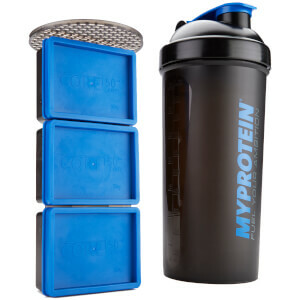 When taking these regularly I'm pumped at the end of my workout whereas before I'd often be falling asleep by the end. The main noticeable side-effect of taking such high levels of Vitamin Bs is it makes your urine turn luminous green. So drink plenty of water and don't be alarmed when you go for a pee! It's perfectly normal. If you're drinking enough water it's not as noticeable. I only bought 60 tablets first time round but MP shipped them in a big container. It was a little strange receiving a brand new pot that wasn't even a quarter full but oh well! Take one daily to boost energy levels. Noticed the difference, especially when taking a bit before training. After 2 weeks of use my health, hair and skin improved. Value for money giving that I bought 180 tablets instead of the 60. No doubting the effectiveness of the ingredients here. However following reading a review from 2017 and the person stating about getting a flush red feeling pretty soon after taking the tablet, I also got the same feeling. It’s a bit unpleasant as you aren’t really sure what it is that’s happening and also what’s initially causing it but I definitely put it down to taking this supplement. Also some redesign on the actual size and texture of the tablets is much in need I feel. They are quite large for starters but also the rough nature of the outer makes it difficult to swallow as well. Almost like it gets caught in the back of the throat and then tricky to neck down after that without leaving a horrible after taste and also it’s actually a bit of a choking risk if you ask me. And that’s with gulping down plenty of water. This review is made out of experience with that as I have 4 left out of 180, so 176 tablets nailed. My b12 level was checked 3 months ago and was just below the bottom of the normal range and not quite low enough to justify prescription. It was checked again a few days ago and has come up nicely to the middle of the range. Seem to do the job although they do turn your pee fluorescent yellow!!! "The B group of vitamins are of vital importance for a whole variety of metabolic processes including protein metabolism. 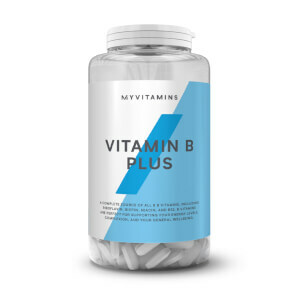 For anyone with a particularly active or stressful lifestyle, supplementation with B complex vitamins provide an essential back-up to ensure adequet levels are ingested.\n\nI find that taking a tab with the largest meal of the day seems to aid energy levels. One thing to be aware of on these - taking them may cause your urine to become very dark, or even a near luminous green for a few hours! 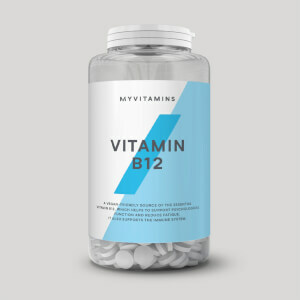 Whilst this can be a little disconcerting, it is perfectly fine and is just a sign that the riboflavin (vitamin b2) is doing it's job.\n\nI consider this to be an essential supplement which has numerous positive effects." Everything is good, i use them in days with trainings, worth buying. Vitamin B Super Complex is an excellent product in all aspects. Extremely good value for money.